Please complete the following form and send to the Attendance Office for consideration – download Holiday Form here. The final decision will be made by the Headteacher. How much home learning is my child expected to do and who do I contact if I have any questions? The amount will vary depending on what year they are in. Speak to your child’s Tutor or Year Co-ordinator if you have any concerns. To find the name of your child’s Year Co-ordinator go to the school website homepage and click on “Staff”, there is a sub-heading for “Year Co-ordinators and Tutors”. How do I find out if I am entitled to a subsidy for school trips, uniform, revision materials or other essential items? If you are in receipt of Free School Meals you are usually entitled to help with other things at school. A subsidy of 50% towards the full cost of the trip, but not exceeding £200 in any one academic year is available for those in receipt of Free School Meals. Put your request for assistance in writing to the Headteacher. Who do I contact if I qualify for Free School Meals? Contact Main Reception (Mr Farrell) who will give you the relevant forms to fill out. Who do I contact if my child needs to leave school early for an appointment e.g. dentist/doctors? Please contact the Attendance Office or send in a note with your child to inform us of the date and time of the appointment. Where possible make these appointments outside school time. How and when do I notify school if my child is absent? Please phone the absence line on 01803 317901 and leave a short message with your child’s name and the reason for their absence. To see the schedule for the school day, visit the website and go to the “Information” tab. Click on “School Day”. How many lessons does my child have each day? There are 5 lessons each day with a break in the morning, a lunch break and Act of Worship after lunch. See the “School Day” for exact timings. All students have lessons in Maths, English, Science and Humanities (History, Geography). As a Christian school we also have R.E. as a core subject. Physical Education is included on all students timetables. How does my child apply for the 6th Form? Print off an application form from the website under the “6th Form” tab or contact the 6th Form office on 01803 316433. What is the school’s position on students having mobile phones in school? Students are allowed to bring their phones into school but use is at the discretion of their current teacher. Who do I contact if my child tells me he/she is being bullied? Contact the school and ask to speak to your child’s Deputy Year Co-ordinator in the first instance. If the problem cannot be resolved at this level it will be passed on to a member of our Senior Leadership Team to deal with. Who do I contact if my child is unable to do P.E.? You can contact your child’s PE teacher or the Head of the PE department. Alternatively you can contact Reception who will pass the message on to the PE department. What do I tell my child to do if he/she misses the school bus at the end of the day? Tell your child to return to the Pastoral Office (Mrs Lightowers) or Reception where we will endeavour to make contact with parents/carers to arrange alternative transport home. How do I find out about school events – e.g. parents evenings? You will usually receive an e-mail informing you of any forthcoming events. Alternatively you can check the school website or our Facebook page (St Cuthbert Mayne School, Torquay) for up to date information. Where do I tell my child to go if they are feeling unwell? If your child is feeling too unwell to remain in lessons, they must first tell their teacher who will send them to the Pastoral Office (Mrs Lightowers). Here we have a medical room where first aiders attend to any sick or injured children. The first aider will contact you if necessary. Why can’t I always speak to a teacher? Teachers spend the majority of their day teaching in classrooms so cannot be contacted. Always leave a message for the teacher concerned and they will endeavour to get back to you as soon as they can. What is Parentpay, and how do I access it? How do I get my password for Parentpay if I’ve forgotten it? All payments for school trips and resources are made via ParentPay (an online payment facility to pay by credit or debit card). To access your account go to www.parentpay.com. The Finance Office no longer accept cash or cheques for school trips or resources but are happy to help you with any ParentPay queries or problems. They are open to answer student queries from 8.15 – 8.55am and from 10.55 – 11.15am every day. How many parent evenings are there per year? 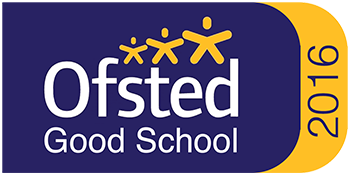 We hold one parents’ evening per year group each academic year but we also have Target Setting Day where parents are invited into school to review the child’s progress. How can I find out how my child is doing at school? Phone up and ask to speak to your child’s tutor who can update you with your child’s progress. There are also regular parents’ evenings and target setting day. What do I do if I am pleased or unhappy with the school? If you want to let us know when we are getting things right please write or email the Headteacher. Usually, concerns can be dealt with informally and can be resolved satisfactorily through discussion. Occasionally, a concern cannot be resolved in this way and it may become a complaint. Please view our Complaints Policy on the school website under the “School Information” tab. When is the school nurse and counsellor in school? The school nurse usually comes in every Tuesday between 12pm and 2pm. (This can vary on a weekly basis). We also have a Sexual Health Nurse who comes in every week on a Thursday. Our CAMHS worker comes into school on Monday morning and Tuesday afternoon.